Facebook Watch, often perceived as a competitor to Google's YouTube, was launched last year in the US to give people a place on the platform to find shows and videos they love from creators and to be able to start conversations with friends, or even the creators themselves. Now, the company has announced that the service is rolling out globally, which means all users will be able to choose from a whole range of shows, both from established brands and new comers, as they'll also have the ability to preview clips direct from their News Feeds. 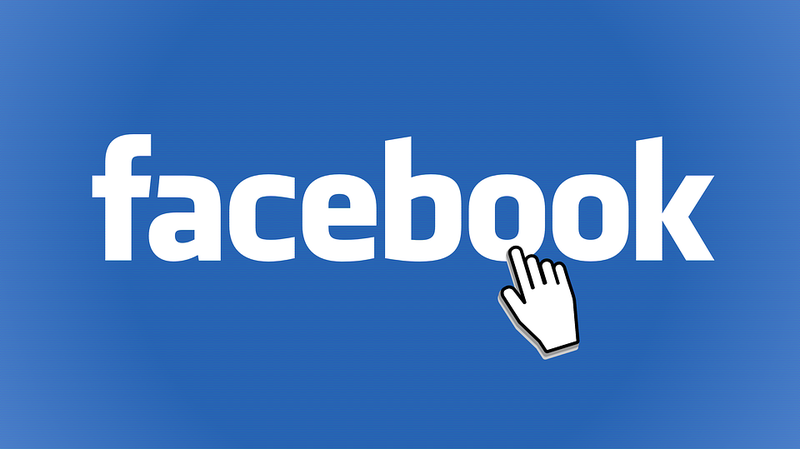 Facebook plans to allow creators to feature advertising breaks, given they are able to reach a stipulated metric, and only select publishers had been given the opportunity, with the facility extended only to videos shown to audiences in the US, UK, Australia and New Zealand. While there will be a revenue split of 55% to the creators and 45% to Facebook, but given that partners can reach a possible audience of billions of people across countries and languages, may translate to huge revenue streams. According to Facebook, over 50 million people watch at least a minute of video per month in the US, with total time for watching videos haven increased about 14 times since the beginning of 2018. Albeit, a minute view isn’t really impressive, given the platform’s massive appeal and the fact that Facebook had previously dabbled into multiple streaming formats for publishers. The company, however hopes to leverage on its advantage against other platforms in helping viewers to interact with one another, to position Watch for success, and coupled with the fact that the service will let users co-ordinate themselves to watch shows together in a fully interactivity channel to boost engagement. 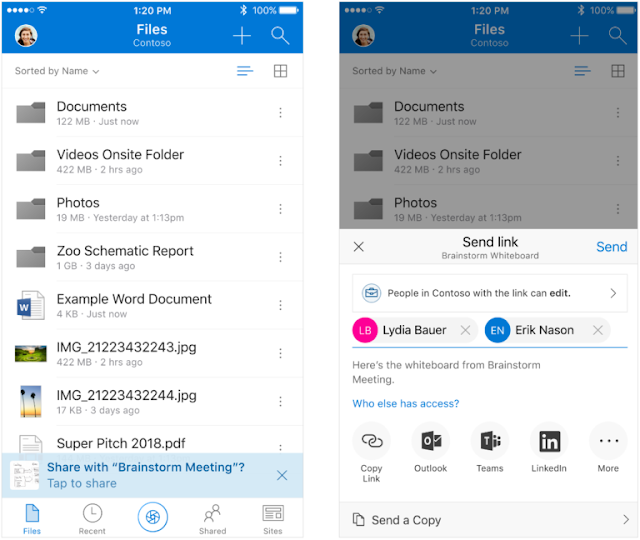 While OneDrive exists as both personal cloud storage tool and a repository for businesses, Microsoft had hitherto reserved the best features for subscribers of Office 365 (part of Microsoft 365 package), which is specifically targeted at Enterprises. Microsoft announced its recent investments in the productivity tools, that combine the power of artificial intelligence (AI) and machine learning in OneDrive and SharePoint to help users to be more productive, and to make more informed decisions with their contents stored in the Cloud. The company has employed AI for analyzing video and audio files stored in OneDrive and Sharepoint, and to help complete video and audio transcription, with a full transcript of the videos and audio files made available in Microsoft’s online viewer. Also, Microsoft is looking to bring intelligent files recommendations to OneDrive and the web application suite that's live on Office.com, which will be powered by Microsoft Graph to help in surfacing the most relevant files based on who is corroborated with and particular situation. The transcription feature, on the other hand, makes video stored within either cloud services to be automatically transcribed, making it easily searchable and playable using the native Windows player. Additionally, Office will get a nifty feature that look out for content delivered or recieved during a meeting/presentation, or pictures on a whiteboard to serve as notes, which it will automatically prompt you to share with your coworkers. Microsoft has promised that OneDrive will soon start showing files that are relevant to you, which feature is originally available for the Delve tool used to manage Office 365 profile, and to discover and organize the information that's likely to be most interesting to you across Office 365. Microsoft had added a new feature to Bing, dubbed Spotlight, that shows the latest headlines and rundown of how stories have developed over time, with relevant social media posts from people around the Web. The Spotlight feature also show diverse perspectives on any given topic so that users can quickly see a well-rounded view of the topic before deciding whether they want to go further on by clicking on the articles. It consists of three categories: timeline that track the major developments in the story or topic, different perspectives to the news and large "hero" image that feature breaking news; while the varied perspectives and stories are made up by a combination of artificial intelligence (AI) and human editors. According to the company, the "queries and browser logs, and document signals from publishers such as how many publishers cover a story, their angles, and how prominently they feature the story on their site" are tracked in real-time by Bing. The news sources must pass the PubHub News Guidelines, which evaluation includes: originality, transparency and readability. Bing Spotlight aims to provide overviews to news topics that you can see right in the Bing search results when you search for major developing news stories, and it's currently available on Bing desktop and mobile web in the US. Instagram launched IGTV to compete head-on with YouTube, while IGTV is specially targeted at users who wish to watch long-form videos from their favorite creators, the service has somewhat failed as to the records set by the company's other novelties, like Instagram Stories. It allow creators to upload videos of up to one hour length, which is way up from the previous one-minute limit set by the platform. But the rather long-form video service hasn't been a hit like Instagram Stories, which just within two months after the launch in 2016, hit a record of 100 million users. 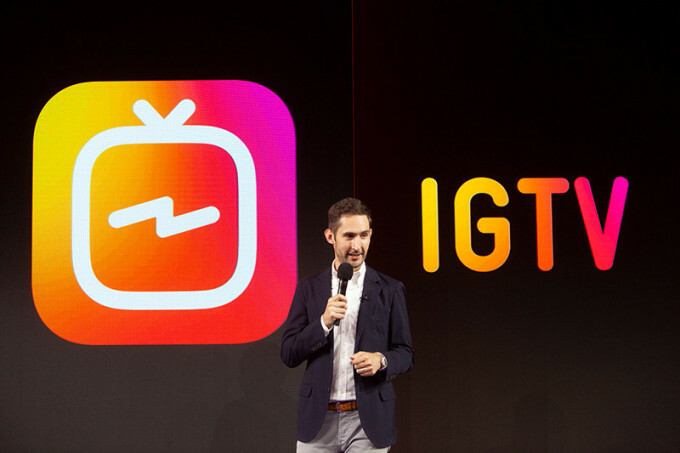 The IGTV service had earlier received a red carpet premiere that made it look more like the new hotspot for videos, which event presented attendees several typical toasts, spa water and ‘Grammy-worthy portrait backdrops; but that never helped it in gaining more traction. IGTV is already clocking two months since launch, and the company has been mum about any milestone recorded in the userbase. Albeit, it is pretty early for any theoretical analysis, but the view counts of videos from partner creators haven't been impressive. Some recent feed show that videos are getting roughly 6.8X as many views as their IGTV posts, which means that the launch partners who obviously benefited from the early access are still stuck in the loop. There’s certainly no free view in store for the creators or regular users, as they'll have to work hard to gain audience. And perhaps, IGTV would need to deliver the spontaneous video viewing experience that Instagram lacks, also offer the right incentives and flexibility to the creators if it wants to avoid getting scrapped or buried as the current fate postulates. Instagram's IGTV: Whither the so-called YouTube-killer is worth any of the hype? 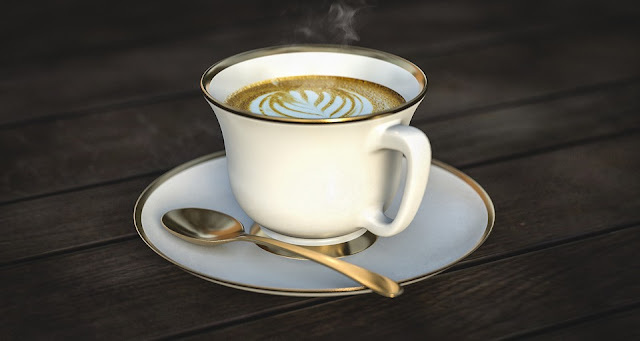 Javalin is a lightweight framework for Java and Kotlin languages, with no external dependencies apart from the embedded web-server (jetty) and running of plugins for JSON mapping and template rendering. While Kotlin, the open-source general purpose programming language for JVM and Android, combines object-oriented and functional programming features, Java as the traditional language of Android development, can't be easily sidelined, at least for the foreseeable future. Javalin offers a lightweight REST API library, or microframework with no concept of MVC, supporting WebSockets, template engines, and static file-serving which makes it useful in building RESTful API back end and serving index.html with static resources. The framework started as a fork of the Spark framework for Java and Kotlin, but now has been heavily influenced by Koa.js web framework. The version 2.0 of Javalin, brings support for HTTP/2 and async requests, and full interoperability between the Java language and Kotlin, with the template functionality moved to a single ctx.render() function that employ the correct engine, based on file extension. The CRUDhandler addition removes the boilerplate from creating standard CRUD (create, read, update, delete) APIs, and the new functionalities of modularization of JSON and template allow developers to plug-in own mapping/rendering engines. Javalin 2.0 is now available and can be downloaded from the project’s page. 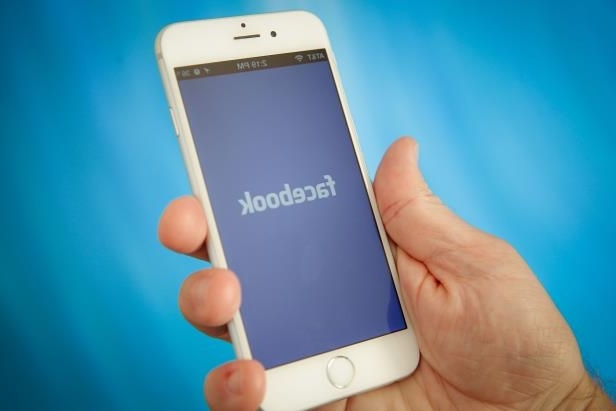 Facebook is testing a new feature that will help to connect people with similar interests, dubbed "Things in Common" as it attempts to enable more people on the social network to discover others who share same interests with them amongst the over 2 billion users. It will invariably highlight things you have in common with other people through a label, which will appear on comments from people who are not your friends, but whom Facebook thinks might have something in common with you. While the "Things in Common" feature isn't the first attempt by Facebook to connect people with similar interests, with earlier tools that tend to connect users to mentors on Facebook Groups; but this goes to show that the company cares more about what and who users interact with on the platform. Albeit, highlighting similarities between people might result some privacy violation, even as the social network has been saddled with the issue of fake news and hoax stories. Facebook maintains that only those information that are already publicly available will be shown in "Things in common" labels, and it will adhere to the individual's privacy settings, so ability to see people's current city won't be available if they are already hidden in their profile. The "Things in Common" feature can't be turned off as it will be enabled by default for all users. Firefox ESR is expressly for enterprise users, and represents more of the static version of the browser, with updates happening only once in a year, against the six-weeks standard feature update for regular Firefox browser. The legacy Firefox ESR 52, now replaced by Firefox ESR 60, which made debut in May, and is scheduled for discontinuation and also support for all the compatible legacy extensions in next two weeks. While the company had extended support for the ESR version to allow customers more time to migrate from version 52 to version 60, it will halt the support for Firefox Extended Support Release (ESR) 52, which is the final release that's compatible with the legacy add-ons, on September 5, 2018. As Firefox ESR 52 remains the final version that support legacy add-ons, Mozilla had also planned to remove those extensions from the market place. According to Mozilla, since no supported versions of Firefox will be compatible with the legacy add-ons after this date, the process of disabling legacy add-on versions on addons.mozilla.org (AMO) will commence in September. And starting September 6, 2018, new submissions for legacy add-on will be disabled. All the legacy add-on versions will become disabled by early October, 2018 and users will no longer be able to find extension on the AMO portal. Mozilla recommends that legacy add-on developers should visit the wiki page for more information about upcoming developments and ways to get in touch with the team for help. 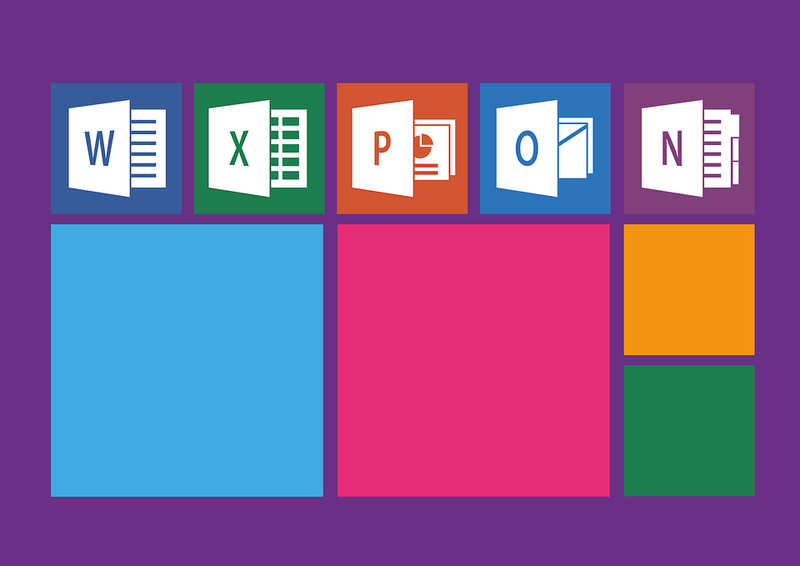 Microsoft Office 2019 for Mac is the next perpetual update to the productivity applications on Mac and ships alongside Office 2019 for Windows, while the beta version have been available for volume license customers who intends to run the "perpetual" version of the suite. The company now requires that Office 365 subscribers on Mac to run either macOS Sierra or macOS High Sierra to be eligible to receive the next update which will be pushed out next month. What this means is that the following Office applications: Outlook, Word, Excel and PowerPoint will be updated to the new Office 2019 labels, for those subscribers that are running macOS 10.12 (Sierra) or 10.13 (High Sierra). According to Microsoft, with the Office 365 for Mac September 2018 update, macOS 10.12 or later is required to update to the new version of the Office client apps for Mac and to receive new feature updates. While Office 365 users who fails to update to macOS 10.12 or later before the September update will still receive mainstream support and will be able to continue using their current version of Office 365 for Mac, but no new features will be delivered to the applications. The upcoming September update, will ultimately transition the Office 2016 for Mac client to Office 2019 for Mac to maintain access to new feature releases and updates. However, it remains unclear if the same requirement will be enforced when Apple releases macOS 10.14 (Mojave), which is expected this fall, will Office 365 update be mandatory for only systems running that edition, and the immediate predecessor, High Sierra, for new updates. The social media giant, Facebook hasn't been much visible in the area of voice aided technologies, which almost all the other major technology vendors now have own voice assistants like Google Assistant and Samsung Bixby. But things are about to change, as Facebook is working on its own speech recognition technology under the moniker Aloha, which feature will be available for the Facebook platform and Messenger apps, and also likely extended to external hardware products such as the smart speaker. Albeit, the company may be late to the party, the need to arrive at more powerful utility to solve the lingering problems of voice aided communication especially given the large pool of users on the platform is most expedient. Facebook's groundwork for the push to voice aided communications are evident in codes inside the Messenger Android apps leaked by tipster and mobile researcher Jane Manchun Wong, with the first look at the prototype for the Aloha features. The most notable feature is labelled “Aloha Voice Testing” and may serve speech recognition and transcribing purposes, allowing users to speak in a message to a blue bar that expands and contracts to visualize the volume of the speech. Aloha may support external Wi-Fi or Bluetooth devices, and the software will run on both Facebook’s hardware and software, akin to how Google Assistant runs on both Android and Google Home speakers. It's still unclear whether the hardware support is for Aloha voice app and web portal, or if it only relate to the Facebook Oculus VR. Microsoft is expanding its Defending Democracy Program with a new initiative called Microsoft AccountGuard, to provide cybersecurity protection at no extra cost to all candidates and campaign offices in the US, as well as think tanks and political organizations. The initiative became necessary following recently discovered espionage attempts stemming from the Russian-backed hacking group, Fancy Bear with several fake websites created by the group that mimic two of American institutions: Hudson Institute and International Republican Institute, with three domains that looks like the official US Senate websites. The company claims that its Digital Crimes Unit (DCU) had successfully executed a court order to disrupt and transfer control of six internet domains created by the group, and haven used the approach 12 times in two years to shut down about 84 fake websites associated with the hacking group. Microsoft AccountGuard will provide three basic services that will cover both organizational and personal email accounts: first, it will serve threat notification across the connected accounts, secondly provide security guidance and ongoing education and lastly, it will provide preview releases of new security features on par with the services offered to large corporate and government account customers. The Defending Democracy Program was launched in April with focus on four priorities: protecting voting and electoral campaigns from hacking, and securing the electoral process; coupled with increasing political advertising transparency, and defending against disinformation campaigns. The technology is currently available free of charge to US candidates, campaigns and related political institutions using Office 365. Albeit, Microsoft promises to extend AccountGuard to additional countries in the coming months, as they continue to invest in and evolve other aspects of the Defending Democracy Program worldwide. APT28, also known as Fancy Bear, is a Russian government-backed cyber espionage group that's notoriously tied to the leaking of Hillary Clinton's emails prior to the last presidential elections in the United States. 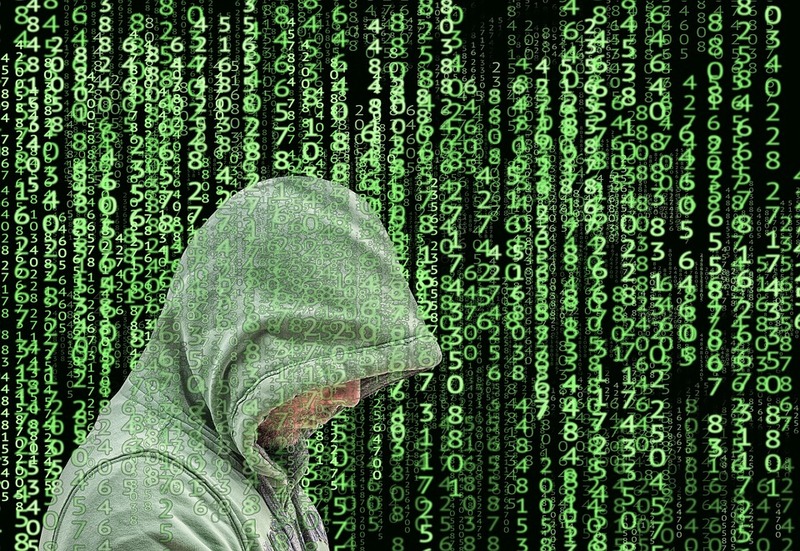 While the hacking group is known by other aliases such as Pawn Storm, Sofacy Group, Sednit and STRONTIUM; their exploits include series of hacks that exposed chat transcripts from the Democratic National Committee's computer network in 2016. Just recently, Microsoft discovered several fake websites that are run by the group, designed to trick visitors in order to steal their personal information by hacking into their computers. The group created fake sites that mimic two of American institutions: Hudson Institute and International Republican Institute, with three domains that looks like the official US Senate websites. Fancy Bear has mostly targeted Windows with its malware, and as such run domains that are heavily related to Microsoft products which has given Microsoft a ground to pursue it with lawsuits. Albeit, faceless group can’t be exactly dragged to court, the lawsuit is to grant Microsoft the rights to hijack Fancy Bear’s servers, of which Microsoft was able to take over 70 different Fancy Bear domains, many of which serve as the “command-and-control” points. Microsoft, however maintains that no evidence points to the fake domains as successfully used for any hacking exploit. But such sites can only be useful in hosting malware which are designed to infect people's computers and steal their personal information. The company did obtain a court order to seize the domains and move them to its own server, which instead of getting physical custody of the servers, which Fancy Bear rents from data centers around the world, Microsoft has been taking over the Internet domain names that route to them. It redirect the domains from Russia’s servers to the company’s, thereby cutting off the hackers from their victims, and giving Microsoft an absolute view of their automated servers’ network. And perhaps, the recent attacks on the two American institutions were Russian hacking attempts ahead of the 2018 midterm elections. Earlier in a review, we pitched Bing.com ahead of Google for accurate information in search results, and that's back in January 2016, but come 2018 it seems Bing is getting it all wrong. So what has Microsoft done to its search engine to have resulted these disparate results, that even in areas it has performed remarkably well, that it is now found wanting in accurate local information. While local search is an interesting area where the search technology must come to bear to be truly relevant, we repeated the minor comparison search with the long-tail keyword for "transfer a domain name to google domains in Nigeria", of which Bing returned the most relevant result in 2016 ahead of Google, but alas Bing results is hugely irrelevant to the search query. 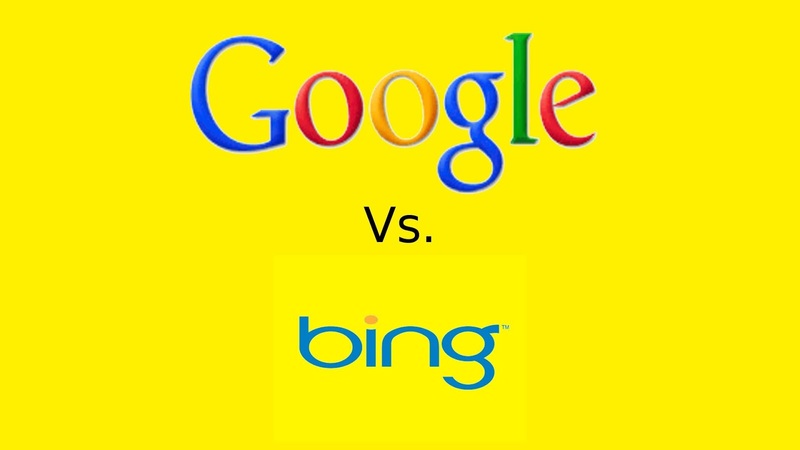 Both Google and Bing are touting of better intelligence of their algorithms, but Google search engine pulls far ahead in this regard, as Bing continues to follow far behind it. Albeit, Bing had recently improved on natural language search capabilities, which has positively impacted hotel booking online, making available third-party information right on SERP, but its travel search generally seems to lack sufficient data. Google’s flight portal offers better alternative, and its fully able to provide a ample information on travel related searches, though Bing does quite well in certain flight search recommendations; the best result for a given set of criteria such as searching for flights to New York City simply goes to Google. Again, in the area of personalized search results, given a user is signed in to the two accounts when conducting a search, Google gives the best search results when searching for branded terminologies and Bing can be found wanting in this regard too. 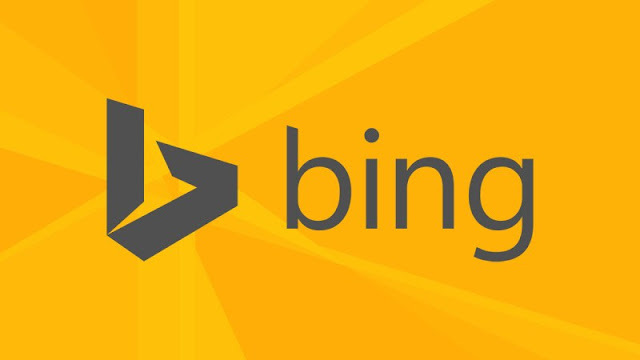 Bing can be liken to an encyclopedia, with static results and more of responding to the question by further recommendation of related information. Google, On the other hand, goes far ahead, as it provides more accurate results and also giving further richer data through the sidebar area of the main search results. Microsoft clearly have an uphill task in repositioning its search engine to better compete with Google, as Bing’s success can only be achievable when the web users are duly satisfied by the results of their searches. Microsoft is harnessing artificial intelligence research with computational power in advanced algorithms to bring about natural interactions between people and machines to extend creative skills. While Microsoft research aims to infuse computers and systems with the ability to reason, communicate and perform skills akin to humans, with its deep investments in the AI field advancing the state of machine intelligence, and enabling computers to understand what they see; communicate in natural language, and interact with the environment. The tools and services that result from this project is woven into existing and new products and made open and accessible to the broader community in a bid to accelerate innovation, democratize AI and solve the world’s most pressing challenges. 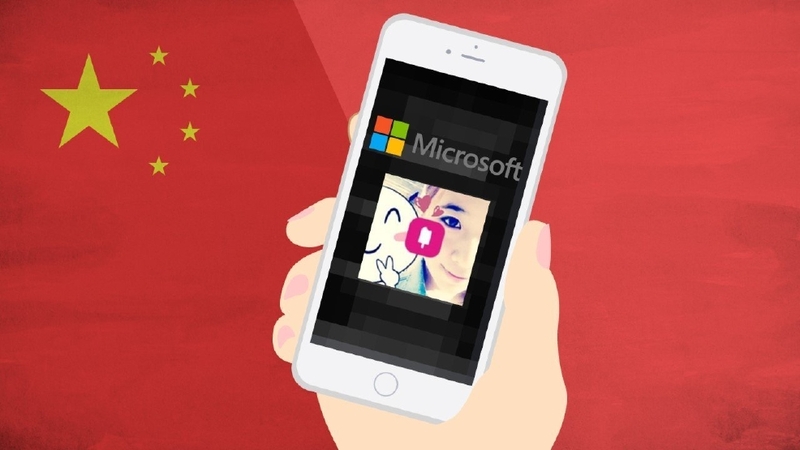 Microsoft had recently launched a chatbot, XiaoIce in China, which now boasts of 500 million “friends” with over 16 channels for users to interact with it, including through WeChat and other popular messaging platforms. XiaoIce, is Chinese for “little Bing” and the chatbot has almost convinced some of its users that it is a human being; having its own TV show, ability to write poetry, and does many interesting things, that has lend it a celebrity status. Albeit, the skill of being able to conjure Chinese poetry from a couple of pictures may sound rather trivial, XiaoIce as Chinese language conversational AI is also able to interact with users in text conversations, and even call people on their phones. The chatbot marks a notable leap forward in the capacity of AI to undertake such simple tasks; and as interfacing with the actual environment, it tends to help in improving the machine learning model as indistinguishable from its human counterparts. Microsoft has clearly demonstrated that its Chatbot has the capability to handle basic voice conversations in Chinese, it’s now only a matter of time before it find its way to other language speaking countries. 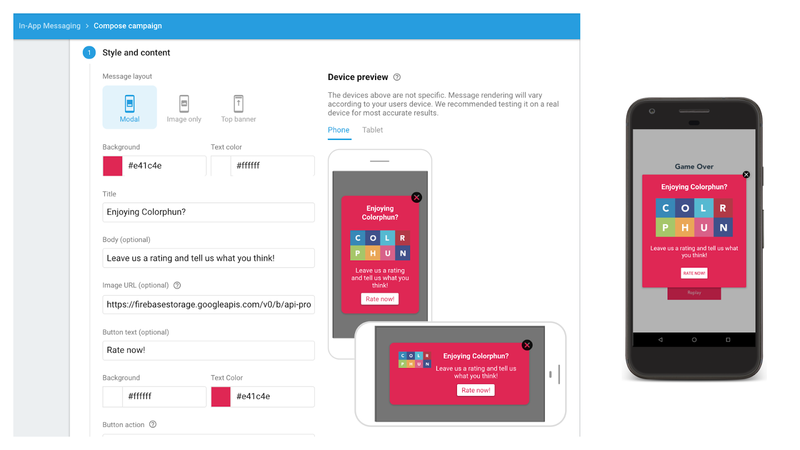 Google is expanding the Firebase Cloud Messaging service to include sending notifications, which feature is currently rolling out to all users, along with deeper integration with Google services and new design for the service. The in-app notification will allow developers to send contextual messages to users of their apps, while the messaging can be customized to look and feel as the developer deems right, and may only include basic text for iOS users and an additional click_action for Android users. Firebase Predictions and Google Analytics for Firebase are now integrated for improved Cloud Messaging API, with Predictions support from Google’s AI, and a revamped console for managing projects across the app cycle. Also, Firebase developers will be able to create JIRA issues based on crash reports in Firebase, thanks to the integration of Atlassian’s JIRA to Firebase, which will be rolling out in the coming week. And with the Crashlytics support in the Firebase, even as Firebase has become more of a platform, developers will be able to build their app crash reports into workflows. 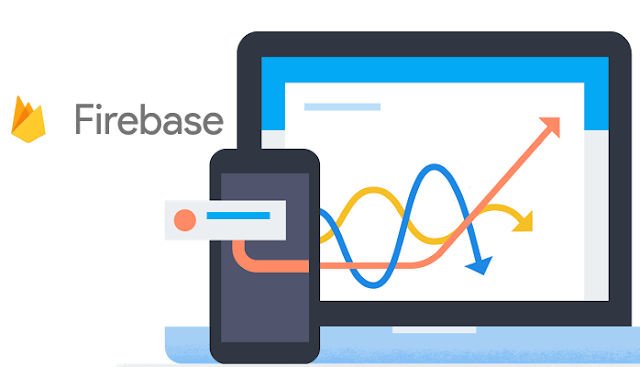 Firebase Release section now features the live data, albeit the new features which have started rolling out today would be available to all users in the coming week. While Microsoft and Amazon were reported to be working on integrating their respective digital assistants, Alexa and Cortana, now the companies have announced the milestone of the two assistants serving as skills in their respective platforms. The integration was demonstrated earlier at Microsoft’s Build developer conference earlier in the year, as the company sought feedback from the respective communities before bringing it to live for everyone. What it means is that users on both platforms can now summon either of the assistant irrespective of platform; and for Amazon customers by the simple phrase, "Alexa, open Cortana” to launch Cortana on any Echo device, and on Windows 10 PCs and other Cortana-powered devices, users can summon Alexa by the phrase, “Hey Cortana, open Alexa” to avail the full functions. 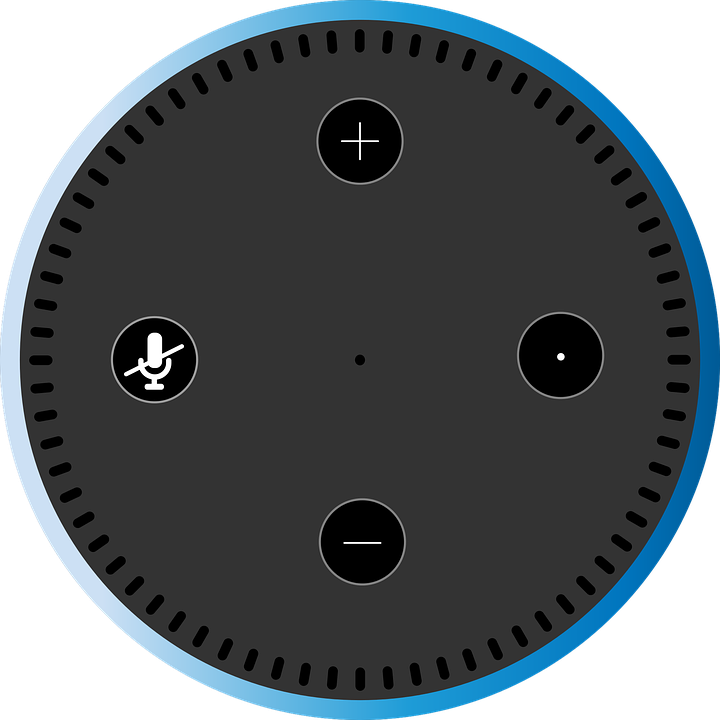 As both Cortana and Alexa will be enabled as a skill on each others platform, it affords users the ability to call upon Cortana from an Echo device and get access to same Windows / Office specific features that are formerly exclusive to the digital assistant. Albeit, this initial integration is rather too basic, as it assiduously requires that users must summon the respective digital assistant to get through to the specific service. The cross-platform integration, however holds the possibility that these artificial intelligence agents may someday be smart enough to route requests to the best suitable virtual assistant for a particular task without a specific “Alexa” or “Cortana” command. 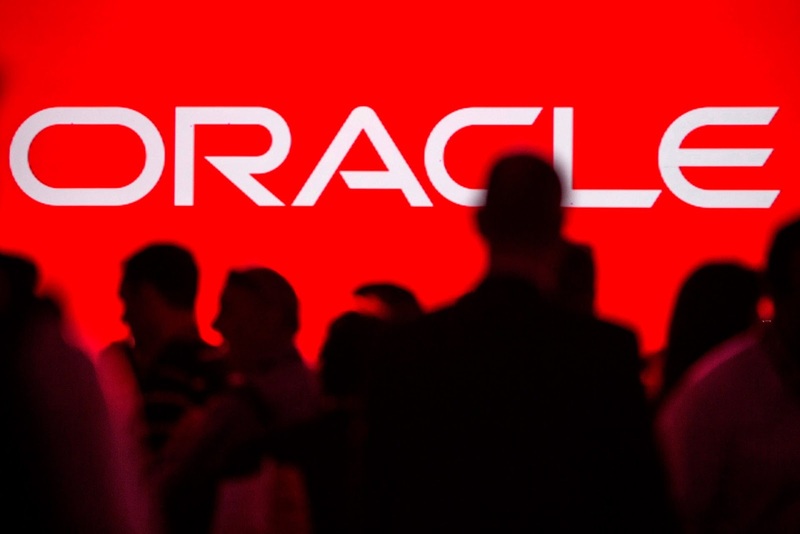 Oracle, is playing in an unlikely terrain as the heavily locked-down company has open-sourced its tool created to make the deployment of machine learning models in the cloud easy, GraphPipe. While popular frameworks like Google's TensorFlow and Amazon's Caffe2 are already leading in the machine learning deployment verticals, GraphPipe aims to make it easier to deploy machine learning models for use on mobile apps and IoT devices, and to serve for internal use within organizations. According to Oracle, GraphPipe is created to solve three challenges: a standard, high-performance protocol for transmitting tensor data over the network, along with simple implementations of clients and servers that make deploying and querying machine learning models from any framework easy. It can serve models built on TensorFlow, PyTorch, mxnet, CNTK, or caffe2; and developers don’t need custom APIs to deploy AI models or require popular framework to create a model. The adoption of machine learning in the enterprise has been rather slower than expected, as organizations find it difficult to manage their own machine learning technology, and the models are often deployed using bespoke techniques, which is difficult to manage across servers in different departments. This challenge is what Oracle is aiming to solve with the new open source, high-performance standard for transmitting tensor data. GraphPipe is available on GitHub, with documentation, examples, and other relevant content available at this web address: https://oracle.github.io/graphpipe. There's a new report about a wide spread compromise affecting hundreds of users on Instagram, who have reported about their account being hacked. According to the reports, the victims claim that they were logged out of their account, and their profile details altered by the hackers, with their avatars mostly changed to a Disney or Pixar toons. As Instagram offers a fun way to explore your creative side in photo shooting and sharing with friends and public alike, it exposes you to a lot of risks around your personal information. The following steps will help you to ensure security for your Instagram account and avoid getting hacked. Firstly, if you don’t want your account to make the photos you share on the platform public and available to everyone, there's settings for private profile. Simply go to your Instagram profile window, and click on the three dots in the right corner. Then at the bottom you’ll see the Private Account option, turn this security setting ON, and that's it. Once activated, all media items you share will only been seen by those who follow you online, non will be made available publicly. Now, back to the business of securing your Instagram account against hacking. The two-factor authentication system offers extra layer of protection to your account, in any case hackers somehow cracks your password, your account will still be inaccessible, as it will need a second factor of authentication before granting them access. The second factor could be any of these: a one-time code send to your mobile, or a notification to confirm you via Android system. And you’ll be required to confirm it any time you want to login to your Instagram account from a new location or device. To turn on two-factor authentication from the mobile app, simply click on the Options icon and from the menu on your profile, you’ll see a shortlink for “Two-Factor Authentication” to turn it on and set up using your phone. It also offer alternative requirements, should you lose your phone or don’t have access to your the mobile number, you can use the Backup Codes. With each Instagram account having five unique codes, which can be accessed in the same settings where you activated the Two-Factor Authentication. Asides this, it’s still essential to set a strong, unique password for your Instagram account, and to desist from allowing access to apps that are not trustworthy as these apps can have access to your personal information, so could be a potential risk. 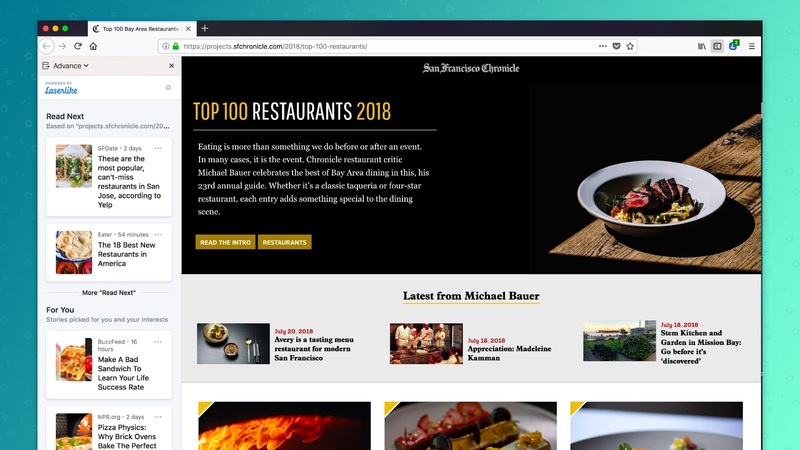 The initial web surfing experience was built on uncharted territory whereby people could spontaneously discover topics online, now Mozilla wants to bring it back to Firefox browser. The idea is akin to ‘forward button’ which will serve to improve the way content is discovered, and the experiment is dubbed "Advance" - bringing the concept of the recommendation system back to life. According to Mozilla, Advance is coming at a point where people no longer go backwards in search to move forward to discover new, and relevant content. The feature brings a two-part recommendations of "Read Next" and "For You" to Firefox window, with the later been recommendation of pages based on a user's browsing history, while the former highlights sites that complement the content of the user's current tab. Mozilla hopes to recapture those serependitious moment of discovery, which opens people’s eyes to greater awareness of topics they sought after and the idea of a ‘forward button’ is to improve the way content is discovered. The recommendations will be purely driven by relevance, which is the primary goal of the experiment to give users the best and most timely information. Albeit, Advance isn't Mozilla's first attempt to bring browsing recommendations to Firefox, as the initial Test Pilot in Context Graph feature, resulted the "Activity Stream" feature, which made debut with Firefox Quantum browser that shipped in November last year. DeepMind, is an artificial intelligence research firm owned by Google's parent company, Alphabet, and self-described as on a mission to push the boundaries of artificial intelligence (AI) in developing programs that can learn to solve complex problems. It's specialty ranges from climate change to the need for radical improvements in healthcare; while many such problems are saddled by slow progress, with AI as a multiplier for human ingenuity, the solutions may become more feasible. The science journal Nature reports that DeepMind, in partnership with Moorfields Eye Hospital in UK, has developed AI that can detect over 50 sight-threatening conditions with the same accuracy as expert clinicians. DeapMind AI is also quite capable of correctly recommending the appropriate course of treatment for patients and singling out the conditions that require urgent care. While DeepMind's AI was trained using a particular type of eye scanner, the researchers claim it is compatible with any model and can be used without any hardware restrictions. 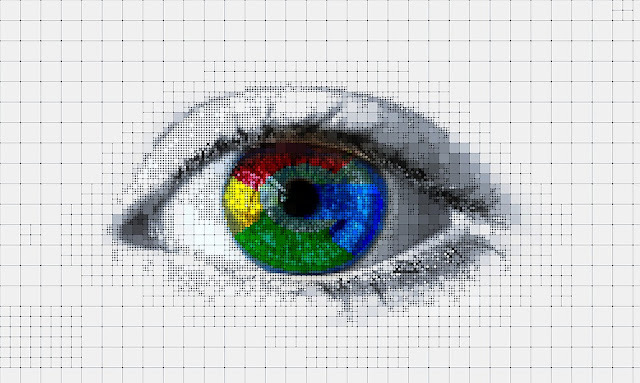 According to the report, Google's DeepMind AI diagnoses were accurate for about 94.5 per cent of the time in a trial with Moorfields Eye Hospital, and going by these feats, it could potentially be used to transform how eye examinations are carried out around the world. And perhaps, DeepMind will eventually cut down the amount of time spent by doctors in diagnosing with OCT scans, being able to recognize 50 common eye problems, which includes three of the most critical: age-related macular degeneration, glaucoma and diabetic retinopathy. Facebook has introduced extra layer of authorization for Pages with large US audiences, following its influence in the last U.S. election, with Russian meddlers buying ads that focused on divisive social and political rhetoric. Now, If you're an admin of a Facebook Page that has a large US audience, you will be required to complete extra authorization process to be able to post and manage the page; to ensure such pages are managed by real people, and not imposters or fake accounts. 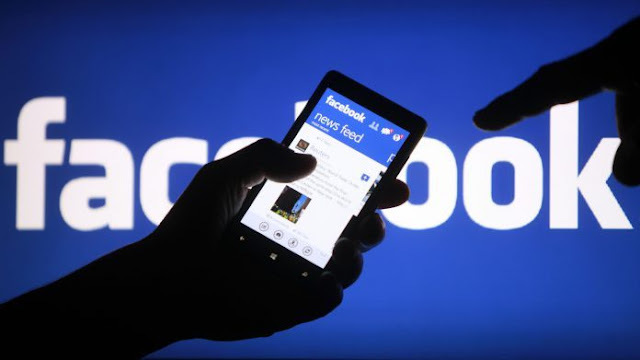 Under the new authorization, administrators of Facebook pages will have to enable two-factor authentication in order to secure their account and also confirm their primary home address. And Facebook will show more information about Pages as part of its effort to stamp out fake news; while ensuring authentic information on its platform, the company will also inform followers when a Page they follow has merged with another Page. With more details in the Info and Ads section of Pages, Facebook will show the primary country locations where Pages are managed and these requirement will also be enforced in its other platforms such as Instagram. Albeit, these changes will only apply to Pages with a large US audience, but there's the likelihood that Facebook may roll it out to the rest of the world soon. 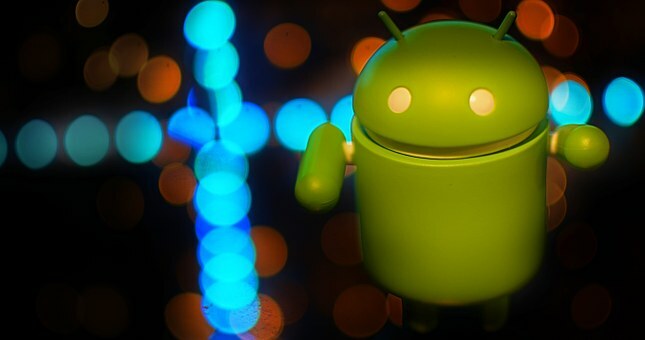 Kryptowire, a US based security firm has uncovered 38 different vulnerabilities in some Android devices shipped by popular OEMs that can allow for spying and malware reload on the affected devices. While the US military vetted security firm, Kryptowire specializes in mobile security analysis tools, app marketplace analytics, anti-piracy technologies and Enterprise Mobility Management (EMM) solutions, and was jumpstarted by the DARPA (Defense Advanced Research Projects Agency ) and the Department of Homeland Security. The vulnerabilities are such that hackers can leverage it to take screenshots, factory reset a device or steal personal information and potentially access the logs of what a person is typing or reading at any given time through the malicious applications. It's quite alarming that lots of Android users fall victim to malicious apps that pose as harmless tools such as flashlight or battery savers, albeit these apps can't get access to protected files themselves, but they can leverage the flaws in pre-installed applications for access. According to the researchers, the vulnerabilities were tied to devices from ZTE, Asus, LG and Essential Phone, which are distributed by carriers like Verizon and AT&T in the United States. These malware are supposedly bundled out of the box, not that it is downloaded and installed by the user, nor is it a flaw in the Android operating system itself, but third party code running on the devices. Since there's so many different Android phone makers involved, the vulnerabilities are different across the devices, as they come with different pre-installed apps, making it pretty hard for Google to keep track of all the pre-installed malicious apps. The researchers, however noted that there could be more infected devices out there, outside the named OEMs, considering that not all Android devices were tested, and given that over 24,000 different types of devices were logged in 2015 alone; to run vulnerability scans on every single device will indeed be a herculean task. 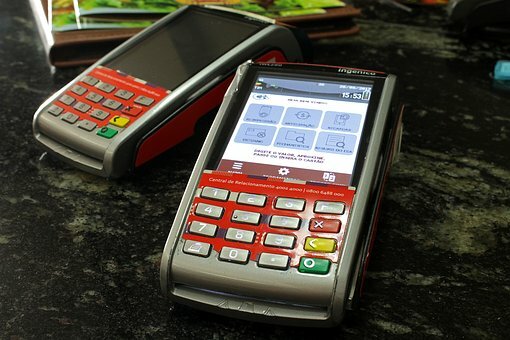 The point of sale (POS) system which typically includes a debit/credit card reader, has brought a lot of convenience to the brick and mortar stores, as customers now pay for goods and services without the need for cash. While these card readers are often attached to another device, such as smartphone or tablet, fraudsters are specifically targeting the inexpensive card readers, which are rampant in small businesses outlets like local grocery stores which use them to accept payments. The trend of cashless payment is growing at an alarming rate, but then, outside the convenience are lurking serious security threats, as cybercriminals can steal financial data owing to weak security on these terminals. 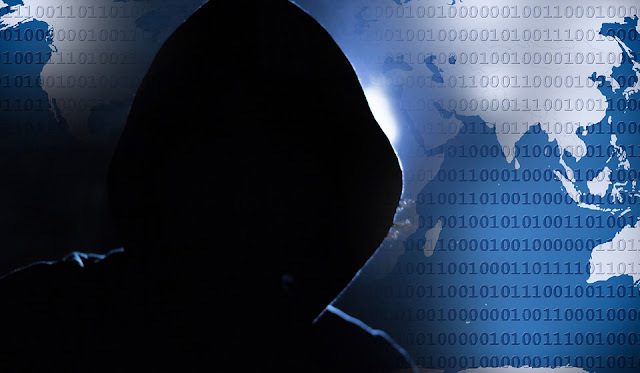 At the recent Black Hat security conference in Las Vegas, Leigh-Anne Galloway and Tim Yunusov of cybersecurity company Positive Technologies revealed that Point-of-sale terminals, such as credit card readers, are increasingly a target for fraudsters. According to the researchers, the cheaper payment systems may cost less, but businesses could end up costing their customers more. They examined how much security were in the cheap mobile readers that cost way below $50 and their finding shows that the cheap readers have flaws that could allow dishonest merchant to change the displayed amount on the screen, and also the device could show that a transaction failed when it actually didn't and compel customers to pay twice. Also, the display could be adjusted to require customers to use the magnetic stripe, instead of the more secure chip on the credit card. A fraudulent merchant could change the transaction value to make it a higher value than the displayed amount on the reader, and that's significantly realistic, as the attack vector can be carried out via swiping. 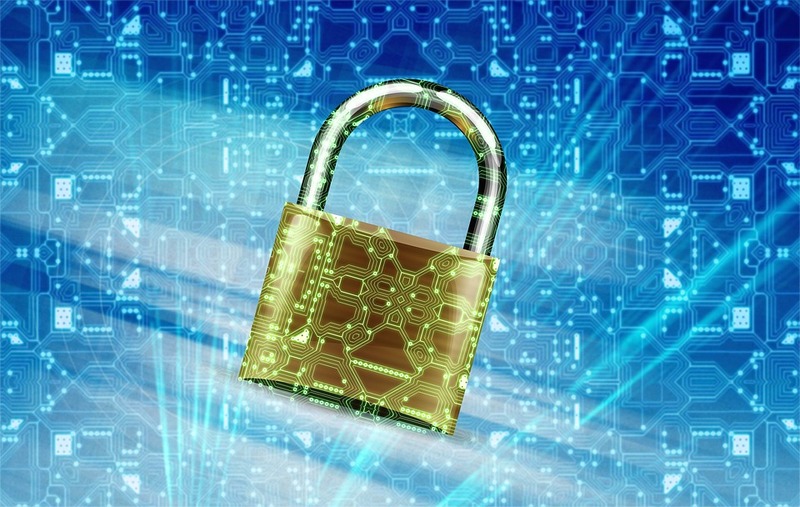 The vulnerabilities, however haven't been exploited in the wild, but for those concerned, it is best to stay away from swiped transactions and stick to security chips, at least for better protection. 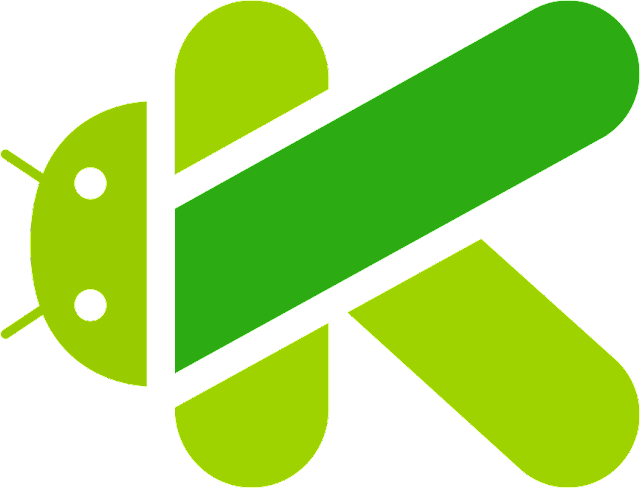 While Google had earlier endorsed Kotlin for Android apps development, the internet giant has gone ahead to release a new Android SDK with capabilities for development in Kotlin language. Kotlin, the open-source general purpose programming language for JVM and Android, that combines object-oriented and functional programming features is now fully supported in the Android SDK, with nullability annotations for frequently used APIs to ensure that newly annotated APIs are compatible with existing code. And the nullability annotations can also benefit developers using Java, the traditional language of Android development, as the Android Studio IDE can show nullability contract violations. Google plans adding more nullability annotations to existing Android APIs in future versions of the SDK and also ensure new APIs are annotated. The annotated APIs result in warnings instead of errors from the Kotlin compiler, and requires the use of Kotlin 1.2.60 or later version. The aim for the newly added nullability annotations is to produce warnings, which Google hopes will give developers time to update their code by the error messaging. To get started, download Android Studio from the project website and then Android SDK can be downloaded by selecting Tools > SDK Manager in Android Studio and then, Android SDK on the left menu. Check for Android 8.+ and install Android SDK Platform 28 revision 6 with the compile SDK version set to API 28. Definitely, technological advancements in medical industry is happening at an alarming rate, and even though things are moving fast enough, these innovations seem to be adding up year after year. These innovations are important because they help improve healthcare for patients across the world, which means people will live longer, healthier, and happier lives with the help of technology. An excellent example is StudyLog, an innovative way to use the Internet to improve scientific studies. This workflow suite is used in dozens of countries throughout the world in the pharmaceutical, biotech, academic, and government spheres of influence. Maybe you’d like to set up your own research study in the Magnolia state. But first, you’ll need to form a corporation entity in Mississippi when starting out. This may seem unnecessary on the surface, but you need a legitimate business and a real organization to be taken seriously. 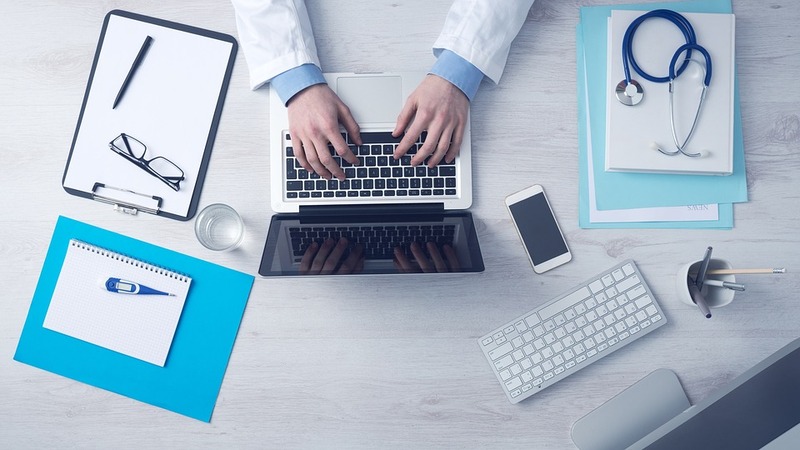 Now, let's take a look at the top 3 technological advancements taking the medical industry by storm and redefining modern healthcare right now. Believe it or not, AI is becoming more and more prominent in medicine, and in particular it’s being used a lot in surgery. Medical teams are already using robotics to help perform precision surgeries and so far the results are very promising. Even though artificial intelligence is basically a newborn baby in the medical field, it’s very promising nonetheless. AI in computer systems can determine the severity and symptoms of certain patients, monitor health issues if necessary so patients have round-the-clock care, and it’s even possible to send notifications to human doctors and nurses to keep them abreast of their progress while healing. Cerebro is a very promising form of artificial intelligence designed to improve nurse staffing challenges. Instead of relying on staffing agencies that are insufficient and inefficient, hospitals now have an opportunity to use artificial intelligence to improve their system. Cerebro is ideal because it monitors staffing flexibility, has higher fill rates, and faster fill times than traditional staffing agencies. This is a huge boon to the nursing industry and things will continue to improve as technology advances. 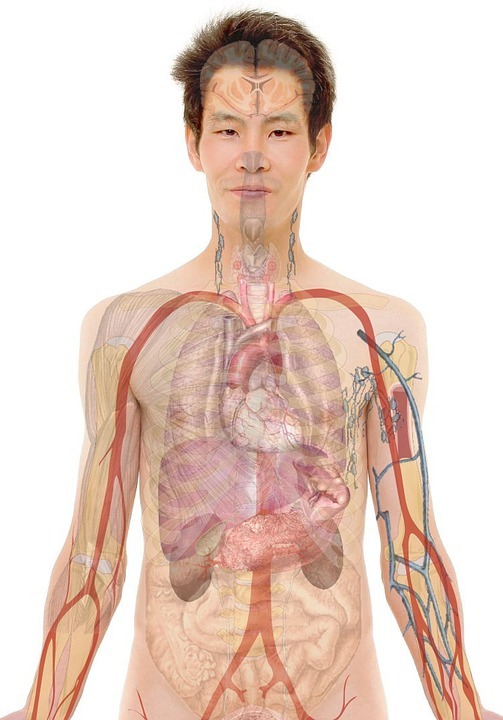 A new process known as warm blood perfusion is sweeping the medical field. It’s a much more effective way to keep lungs breathing and heart beating as they are being transported to other patients in need of a transplant. Obviously, it should come as no surprise to anyone that this is a huge and beneficial advancement that can help as many as 50,000 people each year. Yes, you read that correctly. 50,000 people are receiving organ transplants throughout the year in the US, and this method of keeping them vital and healthy for longer periods of time makes it possible for transplant patients to actually get these life-changing surgeries just in the nick of time. 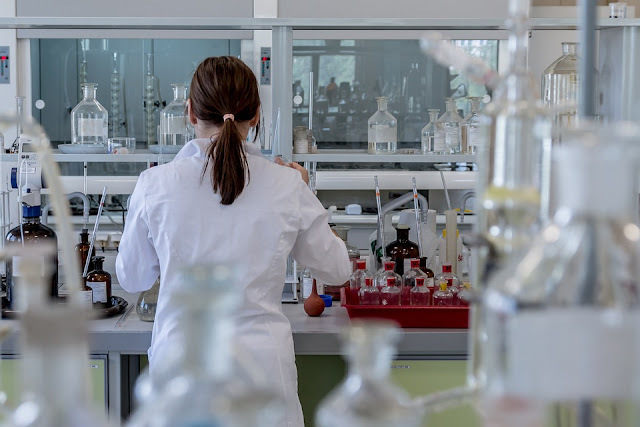 At this time, scientists are seeing encouraging results when using advanced immunotherapies to treat certain forms of cancer. More often than not, they are testing these immunotherapies on types of cancer that are incredibly difficult to treat under normal circumstances. Thankfully, they are beginning to see rapid progress with patients that would’ve probably died otherwise. In conclusion, as the latest advancements in medical technology makes it possible for doctors and nurses to provide better treatments for their patients, scientists must not relent with their tireless efforts because health seems to be deteriorating rapidly on the whole and the world needs all the help it can get. Microsoft had earlier set a September 1 deadline, when it will withdraw support for erstwhile Skype version 7.0 (otherwise known as "Skype Classic"), but feedback from its users has forced the company to extend the deadline date indefinitely. Skype 8.0 for desktop was released last month, with the renown video-and-voice messaging platform bringing some new features, like free HD video and group calls for up to 24 people and new message reactions; with @mentions for individual notifications in a group chat, chat media gallery and photo/video file sharing capabilities. Microsoft decided to extend the support for the desktop version of Skype Classic, against the original plan to discontinue support on September 1, following comments from users on the community forums. The aim is to ensure that all customers have the best possible Skype experience, and there are no compatibility issues resulting from old technology and new technology, according to Microsoft. The company, however plans to roll out improvements over the summer, which will include Skype version 8.0 for iPad, with encrypted audio calls and text messages and call recording, among other features. 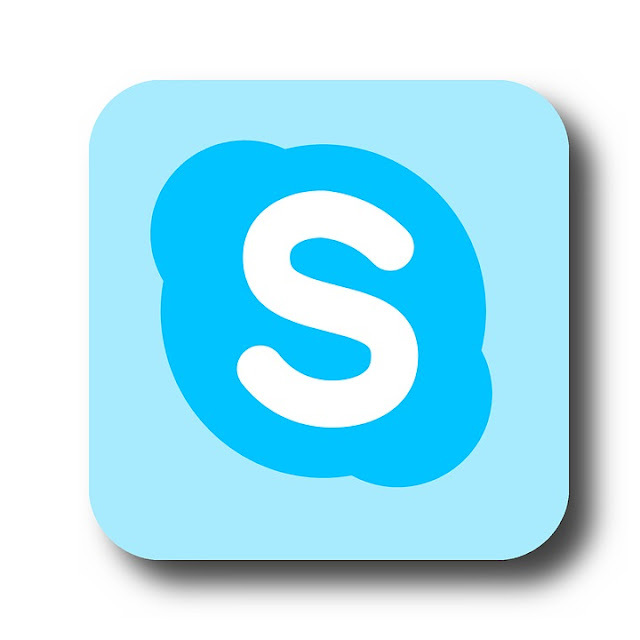 If you wish to upgrade to Skype 8 desktop version, the latest version of Skype can be upgraded straight from the app, simply select Help from the top toolbar and then Check for Updates or visit Download Skype. Google has revealed the name for the latest version of its renown mobile software, Android P as"Pie" with features aimed at fighting mobile addiction, among others. While the issue of mobile addiction has been taken rather seriously by the leading technology vendors, as even Facebook has recently released tools to help those addicted to the social platform, including Instagram to be able to manage their time. Android is the leading mobile operating system, and the latest update in the software could signal a change in how most people use their phones. It introduces some new tools aimed at helping users to rely less on their phone, which features include a new dashboard that shows how much time you've spent on your phone, as well as time spent on individual apps. 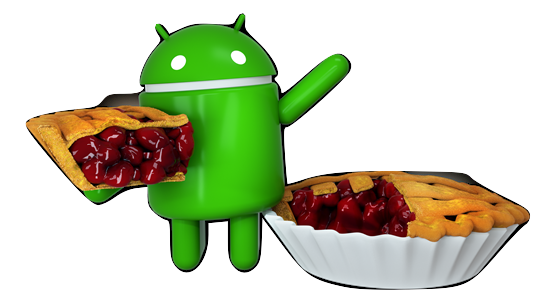 And to make sure people actually get to use these new tools, Google is pushing all the features to Android Pie and ensuring that the numerous hardware and carrier partners won't have to add their own flourishes to the software; and getting them all to update to the current version. Albeit, the problem of Android "fragmentation" may mean not all device can be able to receive this new updated version. Other new features include, support for notch and behind-the-scenes improvements designed to make Android smartphone work faster to save the battery juice. And artificial intelligence (AI) tools working in the background to make user experience better by suggesting apps and shortcuts to use. The first set of devices to receive the update will be Google Pixel line of smartphones, and followed by those who are signed up for the Android Beta program by fall, mostly those using devices from Oppo, Vivo, OnePlus, HMD Global and Essential. 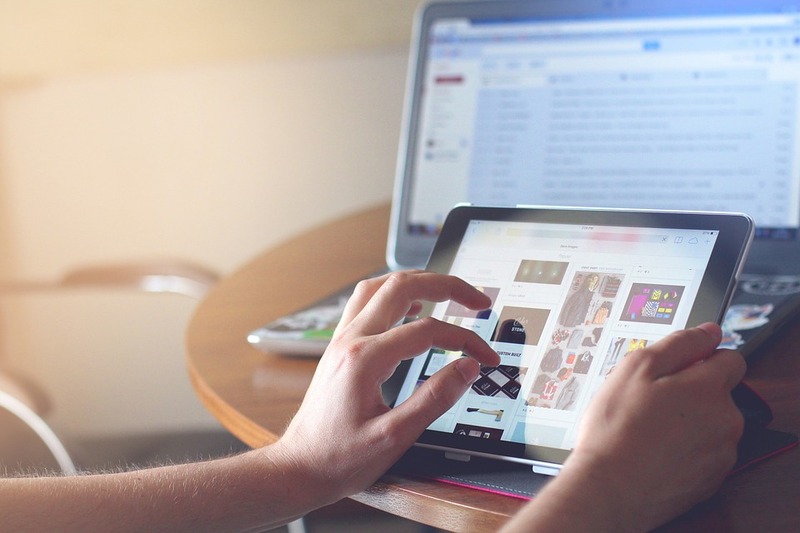 As technology is progressing by leaps and bounds, and so are small businesses. Many people now prefer starting their own business over continuing their nine-to-five jobs. It’s also now much easier to operate a startup since a lot of technology seems to be geared towards helping you out, even when it comes to manufacturing plastic automotive parts. Are you Starting a small business or struggling with the everyday operations of your startup? Read on to find the small business technologies that can help you along the way. Digital marketing is now a versatile and dynamic sector of any modern economy. It’s a marketing strategy that can be pursued by any business regardless of their budget. When used properly, digital marketing can be of great value in propelling small businesses (SMBs) straight to the top. It consists of social media marketing, search engine optimization (SEO), content marketing, and several other aspects. It works towards making target audiences aware of the business without the latter having to put out huge advertising or physical marketing campaigns. Digital marketing can make your target customers covet your products or services way before they've tried them out. Being a small business, you probably don’t have much of a budget for advertising. Once you know how to use digital marketing to grow a small business, your business could easily be more successful than its competitors. Hence, this technology is one of the best ones if you’re dealing with high competition, very few funds, and a modern audience with Internet access. This is a software solution that businesses can use to streamline all their processes and departments. With just a few clicks, a paperless and effortless method can be adapted to track hours, progress on projects, and much more. For instance, there are some excellent spreadsheets you can find here for making sure that all the employees are working productively and consistently. What are its Benefits to your business? ERP solutions allow small businesses to manage their human resource, accounting, and customer relations departments. They enable you to automate these systems at just a fraction of the traditional cost. Chatbots are plug-ins on websites that can interact with customers, answer their questions give them information, and even deal with complaints. These could be programmed to operate on their own until an actual human employee could be online. When used correctly, chatbots have the potential to increase customer engagement, reel in new patrons, and retain older ones. They can pull up information from anywhere on your landing pages if need be. Most important, they’re a great alternative for actual human-to-human interaction, giving that personalized touch that customers crave these days. Chatbots didn’t have much of a reputation until a few years ago. Before that, they were generally seen as clunky, annoying options that turned customers off. However, chatbots have now progressed to a surprisingly pleasant addition for eCommerce websites. You can get on with your tasks and stay assured about the bot handling any visitors to your site in the meantime. 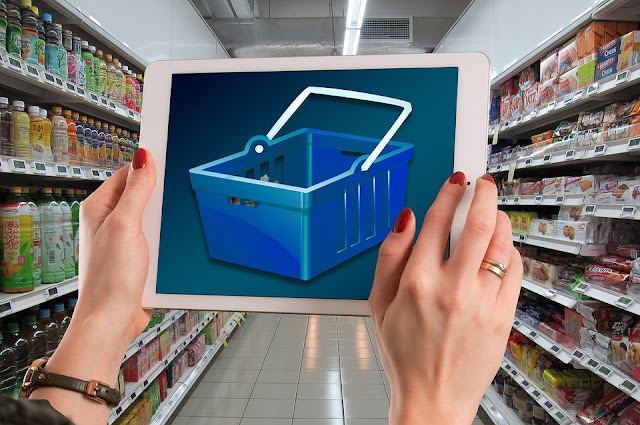 VR is a technology that allows customer interaction with the items on sale. This provides a cost-effective way of showcasing products and services even when the company and the audience are located in different parts of the world. 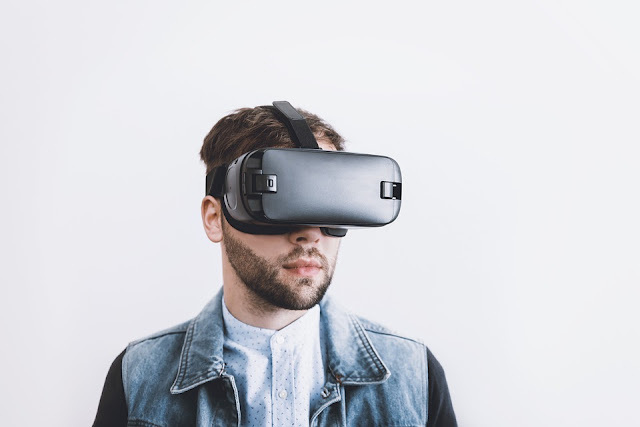 VR helps you reach a global audience even as a small business. Your potential customers no longer need to visit a physical store to interact with what you have to offer. 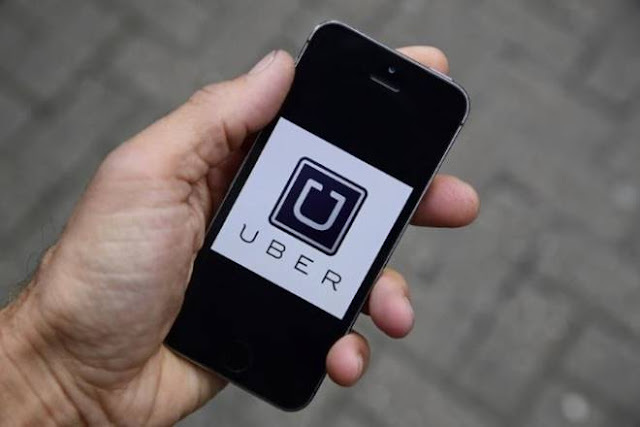 The ubiquitous ride-hailing company, Uber has launched an open-source web framework called Fusion.js to cater for building lightweight applications, and works with libraries such as React and Redux. While the company create lots of web applications for its internal use and for the public, it has come to recognize that keeping up with the ever changing web technologies is most expedient. Fusion.js is intended for development of high-performing lightweight apps, as it offers code reuse on both the server and browser side, while addressing the complex configuration and boilerplate of multiple tools needed for server-side rendering, splitting, and module reloading. And as lots of application-specific code depends on libraries, making it rather difficult for developers to integrate library that is testable without a service layer abstraction, as such necessitates the creation of a modular framework. Fusion.js offers command-line interface, webpack/babel transpilation pipeline, and Koa server, with its plug-in-based architecture that helps to build single-page applications that depend on service layers to meet requirements like testing and internationalization. Additionally, Fusion.js offers a testing environment with Jest, Enzyme, Puppeteer, and integration utilities. And there are over 60 repositories using Fusion.js since its internal release, which number is expected to increase due to its high demand for new web projects and migration of older projects to Fusion.js. For developers looking to try out the framework, they can download Fusion.js from the project’s GitHub repository or create a new Fusion application using yarn. While Google Maps had always presented a flat view of the Earth, but now it represents a globe with landmasses of the appropriate dimension, and changing the traditional view to an interactive globe. For the north and south, objects are distorted as the flat map makeup for the flattening of the Earth. Albeit, the most evident change is in the commonly used Mercator projections that represents the size of landmass at the equator, and Google isn't done tweaking the Maps as the app also has other new features in the works. Among them is a nifty feature that shows battery level indicator in the infobox, which is generated during location sharing, though some users already feels the information is rather irrelevant as they'd care less about the battery level of their tracking target. 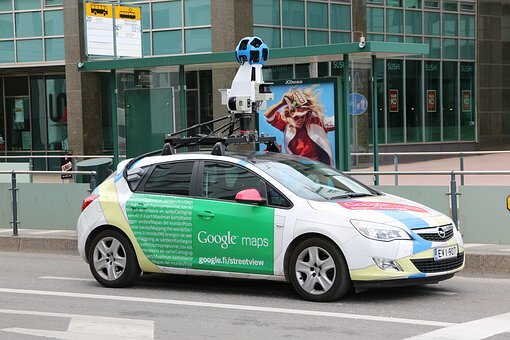 But the additional information provided by the Maps "Share Location" mode, will make it possible to understand how much autonomy remains to the user that is been tracked. It can be pretty useful in the case of devices nearing full discharge, and shows that your target with battery at low percentage may eventually have a dead phone, so you don't have to be too worried if trying to call after some minutes and their device is unreachable. Google Maps remains one of the must-have apps on any smartphone, as it helps with effective navigation and even on Apple's devices, since their alternative maps couldn't quite measure up to its capabilities. 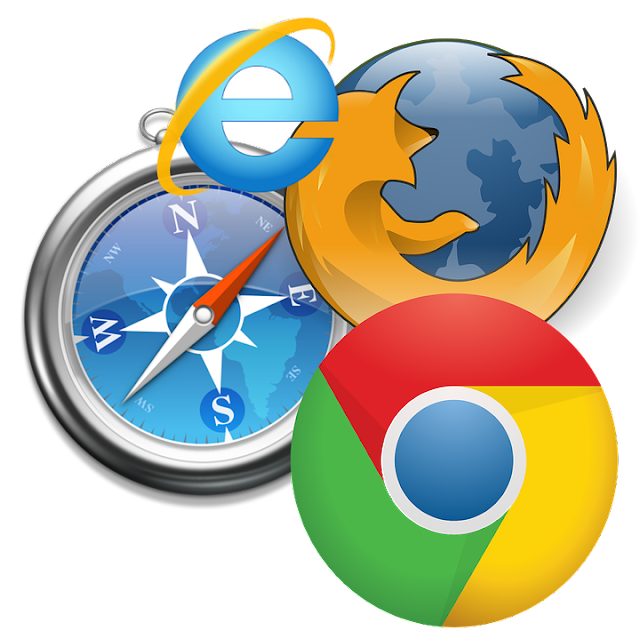 Microsoft's troubles seems to be multiplying with its browsers failing to hold any water, and more dire, Internet Explorer (IE) and Edge hit a record low in Net Applications' tracking of browser data for July, 2018. While Net Applications detect the agent strings of the browsers used to visit websites under its watch to calculate the user share, which visit sessions it tallies with multiple daily returns, against competing services, which measures only total page views. 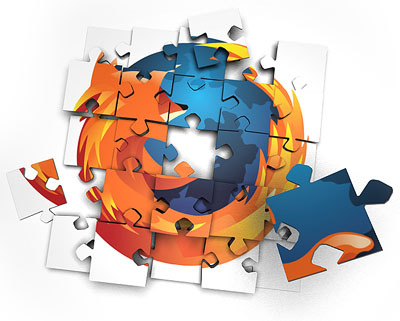 In the report, Mozilla's Firefox shed off a smaller percentage point of two-tenths, finishing at 9.7% user share. Albeit, Firefox's score is perhaps the smallest user share since February 2006, when IE still holds sway. Mozilla's browser post of a number under the 10% bar makes it the third consecutive month in 2018, but the open-source browser appears to be akin to the proverbial cat with nine lives, haven survived a near-fatal experience recently to bounce back to some good degree. And given the recent trends, IE and Edge may likely lose another 31% in the coming year, which will leave the Microsoft browsers at just 10.6% of the worldwide browser user share at this period in 2019. Firefox, on the other hand, drops by 21% and finish at 7.6% in the same period. But IE and Edge will fall faster than Mozilla's browser according to this prevailing forecast. 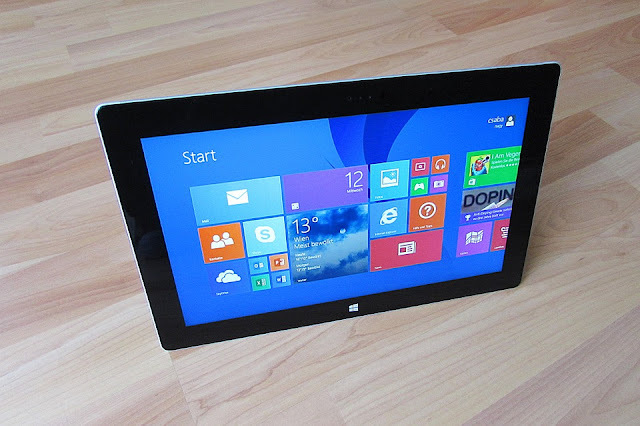 By this forecast, Edge dwindling fortune seems rather irredeemable, even as Microsoft appears to be pushing it with the Windows 10 updates, the browser has remained a big flop. Apple's Safari hits a third straight low this month, ending at 3.5%, which is the lowest score since April 2017 and Safari's share of Mac systems also dropped to 38.3% in July, 2018. Google's Chrome remains the leading browser, recording nearly 4 percentage points rise to its share in July alone, finishing at 64.7% and the last time a browser managed to corner that huge margin of the worldwide browser share was in 2009, with IE accounting for two-thirds of the then total share. A mobile phone booster, otherwise known as amplifier or repeater, works by bringing more power to the reception with the help of outside antenna to both receive and transmit signal. While mobile services aren’t really 100% efficient, more and more people keep complaining of dropped calls and slow data connection, as such there are high demand for better wireless connectivity to cater for our endless chatting on social media, streaming’s and the likes. As mobile phone signal is usually affected by diverse obstructions, including natural objects like high buildings and mountains, necessitating the implementation of a reception booster system. How does Mobile Phone Booster help improve signal strength? 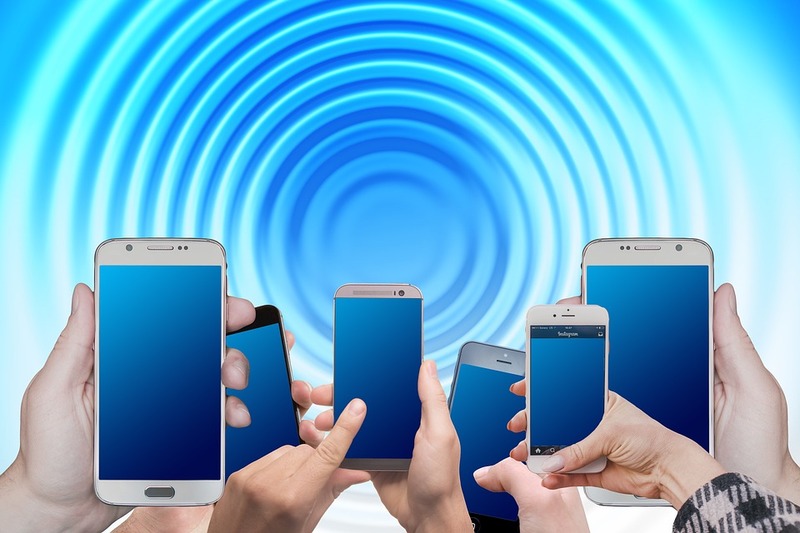 Generally, mobile phone signals are radio waves and measured in decibels (dBs), while dBs are brilliant and fun, it makes radio and signal level calculations a lot easier. For instance, given that an amplifier is rated as producing a 6 dB increase, for every 6 dB decrease, the amplifier can be said to be half as powerful. The closer you are to the cell phone tower, the better the signal strength. But we can’t always remain stationed in a location just to enjoy good reception. Unfortunately, naturally the further we go away from the cell phone tower our mobile coverage decreases in strength. The mobile phone booster takes the existing signal around your office, workstation or home and amplify it, and the signal will then be rebroadcast to areas with no reception or weak signal. As the signal reception is captured by the outside antenna, it is then amplified by the repeater and rebroadcast across the surrounding area of low signals through the inside antenna. The output is a boosted mobile phone reception, not only that, also a mobile signal booster amplifies the signal strength of cell phones. Besides the fact that mobile phone booster guarantees steady signal, another advantage of a boosted connection is that mobile phone battery life will be extended by many minutes of extra talk time. What is a Mobile Phone Booster and How Does It Work? 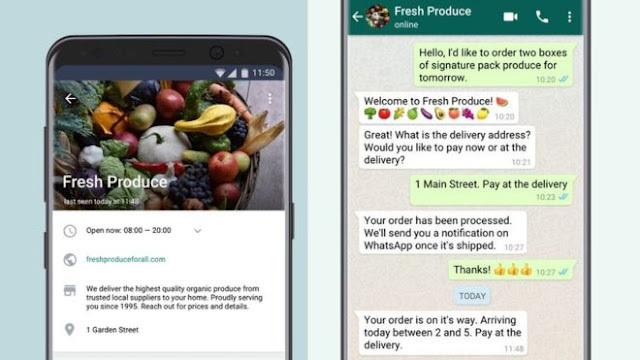 The convenience of messaging on WhatsApp is unrivaled and most people prefer the platform for all communications, even business related, more reason the company is launching what it calls Business API to let businesses respond to messages from customers. While the service is free for up to 24 hours, businesses will still be able to respond to customers who contacted them, albeit the API is programmed to help them send out information like confirmations, reminders or event tickets. They can also use it to respond to customer service inquiries through their own apps via tools like: Zendesk and Twilio, which service is open to small businesses to send late replies one after the other for free. The WhatsApp Business API essentially offers businesses easy communication with customers all over the world, in a simple, secure, and reliable way. The company, however will look to monitize their platform by charging for each message if the company fails to respond to customers after that 24hrs time-period, which cost is estimated to range from 0.5 cents to 9 cents. Although, the charges will vary for different countries as WhatsApp could be looking to keep up with the local level of standard SMS charges. On the security front, WhatsApp maintains that all messaging between businesses and their customers will be end-to-end encrypted, even via the API. 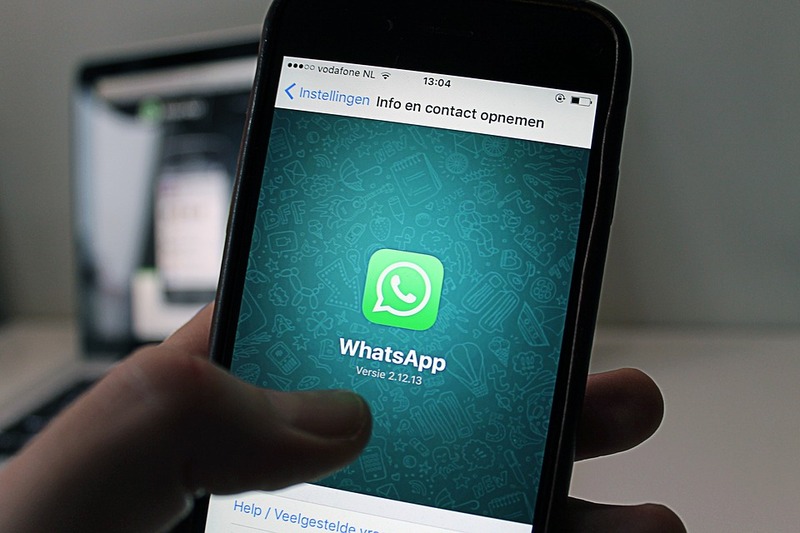 And perhaps, the WhatsApp Business API could serve as alternative to customer service centers, and the convenience of asynchronous messaging will spur users to communicate with companies on it instead of direct phone calls. 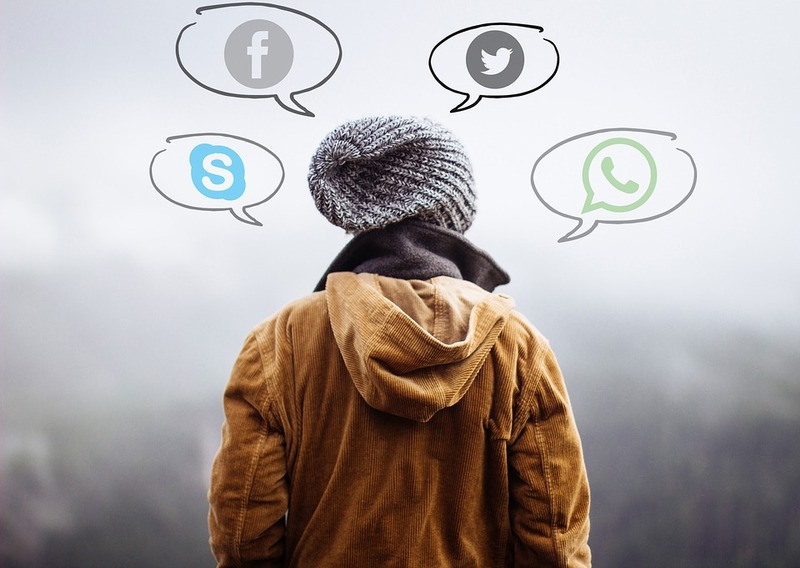 The addiction to social media is increasingly a growing concern, with many people getting aggressively hooked, even to a point of absentmindedness on a busy street, while sidewalks and buses have got all sort of teenagers with their eyes glued to their device. According to a survey by Deloitte, people are making conscious effort to reduce or limit their phone usage, which study is based on responses from over 51,000 people between the ages of 18 and 75 across 32 countries, including the United States. 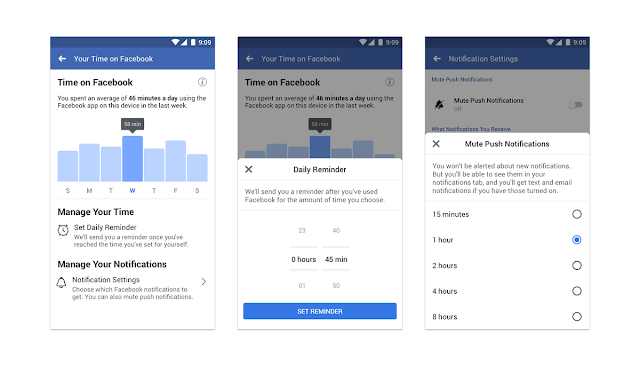 Now, Facebook and Instagram have released tools to help these addicted people manage their time on the social platforms, as the new feature can be set to a daily time range by the user. The feature will let users see on their dashboard how much time they've spent on Facebook or Instagram per day, and allow them set daily limits for themselves, ranging from 15 minutes to 8 hours. And once they've hit stipulated time, they'll receive a notification, and they are also able to mute the push notifications for anytime. For Facebook, the tool can be found in a new section of settings called "Your Time on Facebook" and Instagram has it under "Your Activity" in the settings. The company hopes the tools will give people more control over the time they spend on the platforms and help foster more meaningful conversations. In today’s society it is hard to believe that you still have mobile signal “black spots” especially in the UK. But most of the mobile phone signal providers still have little to no coverage in some rural areas, so what are your options if you fall amongst those in these poor mobile reception areas? The EE Signal Booster which falls into a category called femtocells, make use of broadband connection to output a signal for you to use in order to boost the available network. If your mobile network constantly drops 3G/4G mobile signal, then you could be considering switching to a different network. But the good thing is Mobile Repeaters UK have a fix for this problem with their mobile phone booster products such as an EE Signal mobile phone booster, which guarantees strong mobile signal even in remote areas. Simply get the mobile signal booster which you can easily install yourself and plug the unit into the main supply and spare port on your broadband router or office LAN. There's absolutely no need to change your mobile phone, as the mobile phone signal booster work with the major network providers like EE, O2, Vodafone, Tesco or Three. 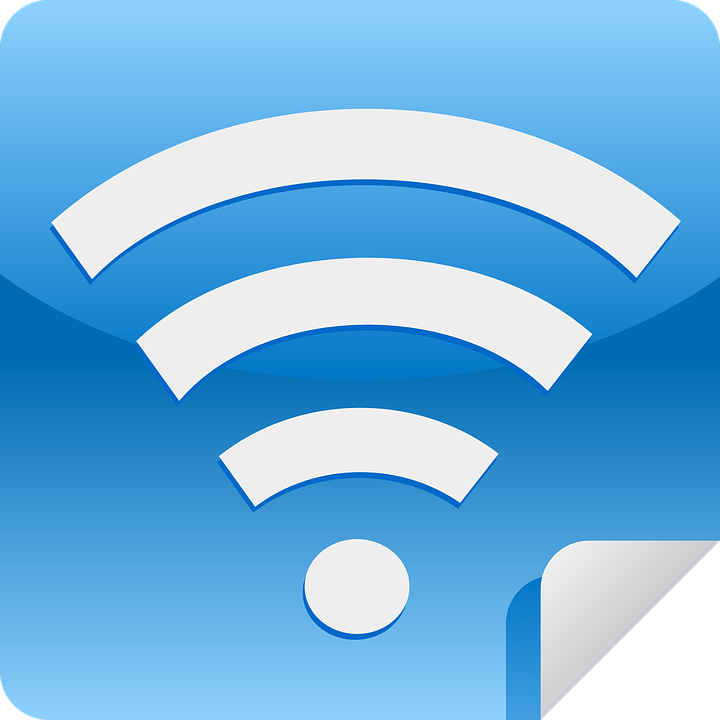 It affords smaller businesses an efficient 3G/4Gmobile signal indoors, wherever their office may be located. As Mobile phone Signal Booster covers personal and small business usage, there's no extra charges on voice, text and data and no minimum contract period. And coupled with the seamless switching, means you’ll never ever have to walk around the building or outside of the window to find mobile phone signal again. 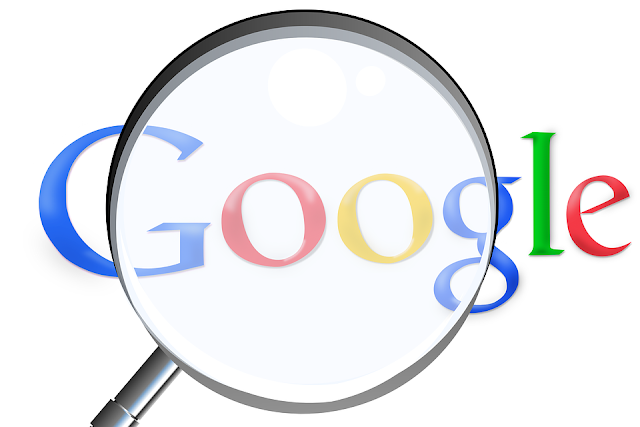 The search giant, Google is exploring the use of structured data to provide valuable context for the innumerable information updates, making it easier to discover and surface it in an easy to understand format on Search Engine Results Pages (SERP). Google hopes to partner with News organizations with record numbers of data journalists working around it, and to support the data journalists through its News Initiative in effort to make data easier to discover. 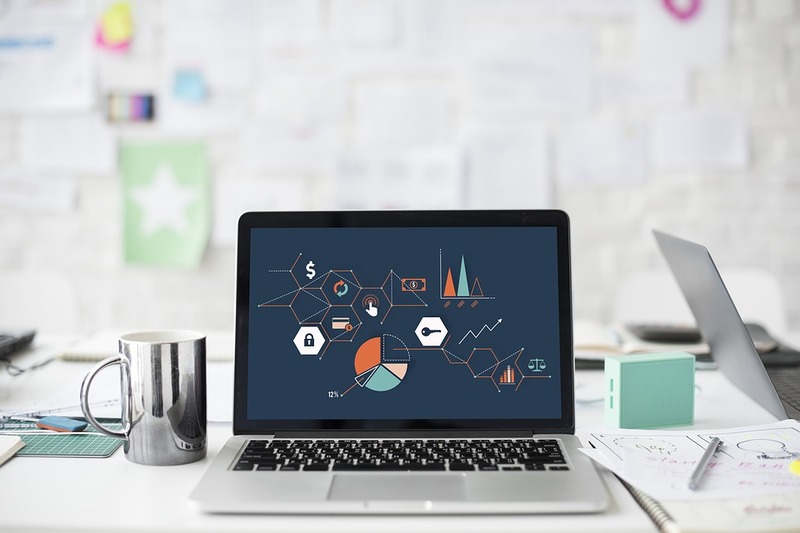 According to the company, data journalism can take many forms, and it’s not always clear from the headline that there is potentially useful data within any document or story. As the way data is currently presented doesn't make it easy for Googlebot to detect and understand tables of data to surface the most relevant results. It is really interesting to note that this is perhaps the first time Google is making a concerted effort to bring journalistic touch into its projects. The company claims to have identified an opportunity to improve how tabular data appears in Search results and intends to make it easier for people to find the information they’re looking for on Google. It therefore urge all news organizations that publish data in the form of tables to add the additional structured data to make the dataset parts of the page easier to identify for use in relevant Search features.